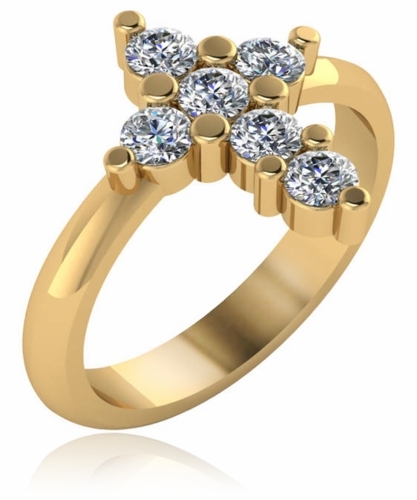 Our Christian Cross Ring with Shared Prong Set Cubic Zirconia Rounds features a sparkling cross integrated into a solid gold shank. 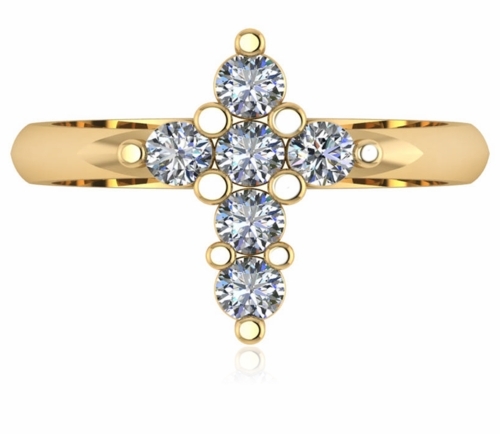 This unique cross ring makes a great ring for everyday wear in addition to the perfect gift for any Christian, confirmation or special occasion. The cross on the top of the ring measures approximately 15mm in length and the shank measures approximately 3.35mm in width at the bottom and tapers slightly up towards the cross. 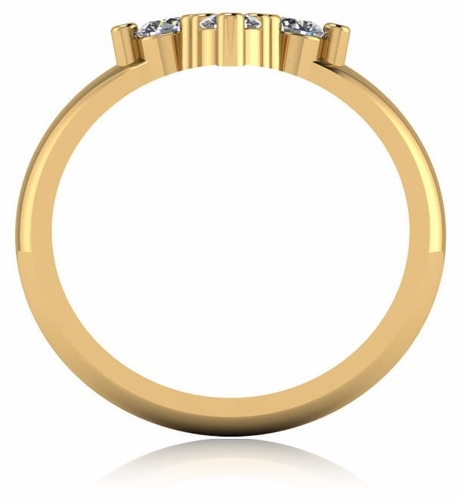 Choose from 14k yellow gold or 14k white gold, 18k yellow gold or 18k white gold, and luxurious platinum. Whole and half finger sizes 5 through 8 are listed in the pull down menu and additional finger sizes are available, please call us directly for details. 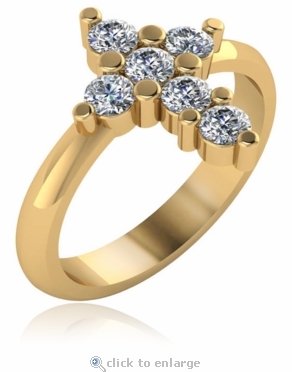 This Cross Ring includes approximately .60 carats in total carat weight of the finest hand cut and hand polished original diamond quality Russian formula cubic zirconia. A smaller mini version of this ring is also available, please see item R2006CL. For further assistance, please contact us directly at 1-866-942-6663 or visit us via live chat and speak with a knowledgeable representative.